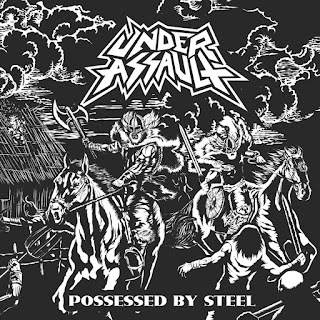 This Noise Is Ours: Under Assault - Possessed By Steel 7"
The release train has started rolling at Witches Brew again! 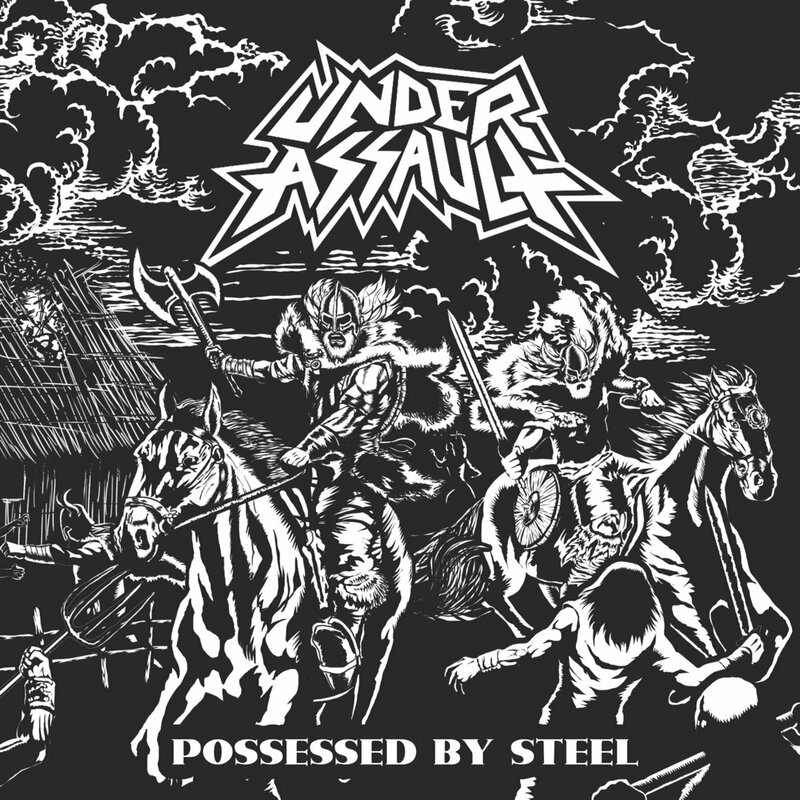 This 7" from Paraguay's Under Assault is their debut release for the label and is meant to plug the gap between now and when their next full-length sees the light of day. The South American thrash metal quartet started life in 2011, putting out two demos in the years that followed. Two splits with Evil Force and Sent To Destroy followed in 2015 before their debut full-length "Underground Metal Till Death" was unleashed last year. They now have the chance to be heard by a wider audience. This is pure old-school denim and leather, studs and spikes worship. The opening title-track rips with dual-guitar harmonies, reverb-filled semi clean vocals and constantly blasting drums. It’s a style that South American bands do very well and Under Assault’s own take on it is no different. It’s no wonder they supported Onslaught in their home city earlier this year. The gloriously named Necrobutcher highlights their underground affection even more. It’s a rip-roaring song where Under Assault fits in solo after solo wherever they can. The recording and production is super tight on this 7” and Under Assault is clearly a very talented band. They’re once again putting South American thrash on the map and the maniacs will love them.